Our Bodacious Dog Mom Life: Random Rant - Maybe You Should Call Back After You Muzzle Your Dogs. Um. Excuse Me? We decided to try a new restaurant. Last month when we assisted with a fundraiser, they donated a gift certificate. I still had the menu on hand. After scanning the menu and deciding what we wanted, Lisa called to place our order. The kids were quiet. Lounging. Five seconds into the phone call, the kids heard a noise outside. They all barked. Lisa scurried to the home office while apologizing to the person on the other end of the phone. She shut the door. Within a few seconds, the barking stopped. I stretched out on the bed with all 3 kids while waiting for Lisa to get off the phone. A few minutes later she appeared at the door. I could tell she was irritated. "When I pick up our food, I'm having a chat with the manager." Of course I asked what happened. The girl who took our order made a rude comment after Lisa apologized for the kid's outburst of unexpected barking. She told Lisa, "Maybe you should call back after you muzzle your dogs." Lisa spoke up and gave the employee an earful. She almost cancelled the order. The only reason why she didn't was because she wanted to speak to the employee face to face and report the exceptionally rude and inappropriate comment to the manager. The employee crossed the line. Big time. The first thing I thought of was, "What if it had been a human kids screaming out-of-the-blue?" Would the employee suggest Lisa call back after we tape our human kid's mouth shut?" I'll be the first to admit, when all 3 of our kids bark at the same time it's loud. Very loud. Especially Lobo. He has a high-pitched bark. At times, I want to stab my ears with ice picks. It goes right through me. They heard a noise outside. They barked. That's what they do. They're letting us know there is something or someone close by. The chorus of barking wasn't planned. We have no control over the noises outside or who walks by the house. When it started, Lisa dashed to the home office and closed the door. A few seconds later, the barking stopped. Lisa apologized. Had the barking continued, she would have told the employee, "I'll call you right back." That's happened before. Not often. I think back to the many times I've been on the phone during a meeting, social chat or with a client. Out of the blue, I hear barking or kids screaming. Life happens. Once the noise simmers down, we joke about it. "Oh, Fido must have heard a squirrel fart outside." "The kids are fighting over the last cookie." 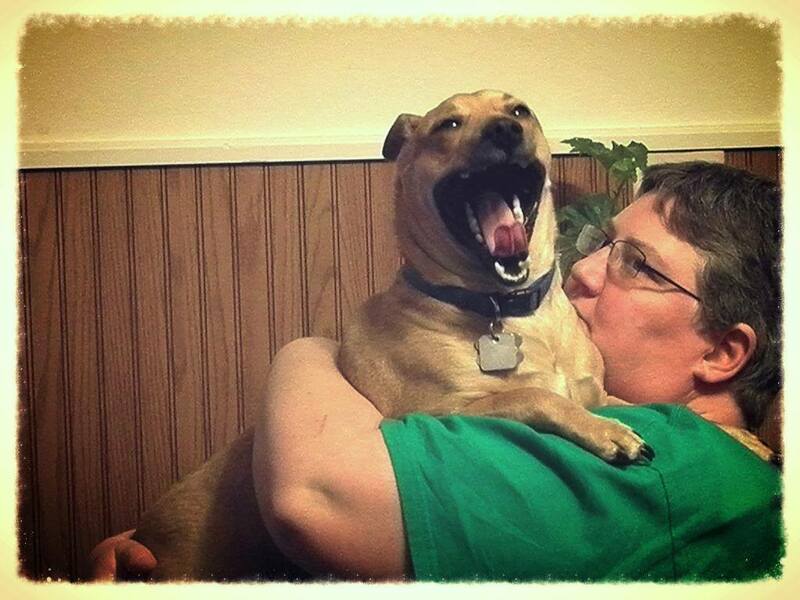 "My husband is home early and Fido 'bout near knocked him down at the door from excitement." Then, we move on. Continue what we're talking about. Never, in a million years, would I suggest someone call back after they've muzzled their dogs or disciplined their human kids. The employee at the restaurant we ordered from did. Lisa eventually left to pick up our food. She gave the employee a lecture about fur-kids, dog's instincts and phone etiquette. The manager wasn't available. I contacted the restaurant via email and explained what happened. Shortly after, I received a cordial reply. Am I satisfied with the reply? Meh. It teeters on generic. We'll never know if anything was said to the employee or how the issue was handled. For all I know, the recipient of my initial email laughed their way through my complaint. Or called me several unmentionable names. Maybe they don't like dogs. I've been in customer service and management most of my life. This is not the letter I would have sent. I would have been a little more personable and offered a free meal or appetizer or pizza. Something. Anything. Out of all the restaurants in the area, you chose us. We are exceptionally grateful for that. I am truly sorry you had to be on the receiving end of such a rude and inappropriate comment. This is not how we train our employees and it's not something we tolerate. While our customers do their best to keep background noises at bay when calling in an order (for the most part), life happens. We'd like to think our employees understand this and to expect the unexpected. And, more so, how to handle it if and when it does. While I am unable to reverse the stream of events that occurred when you called in your order Friday night, I'd like to make things right by ensuring you we will address this with said employee. In addition, we'd like to offer you and yours a free pizza on us. We appreciate your business and hope that you continue to choose us as your go-to place. Will we be eating there again? Not sure. It's a shame, especially in this economy, some business owners and managers don't realize their job, paycheck and profit depends on patronage. In this day and age, not only do you have to contend with word of mouth, there's also social media. Posts and photos spread like wildfire. Once bad customer experience can make or break you. Bottom line, the employee crossed the line. We don't muzzle our kids. Nor will we ever. And we certainly will not tolerate comments like the above mentioned. Way out of line.